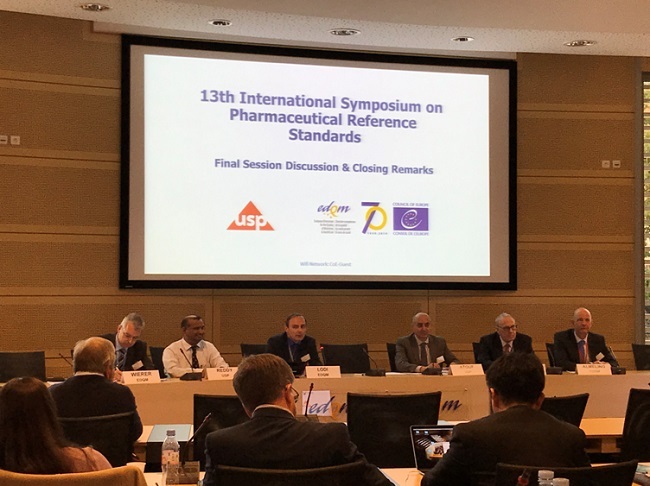 The 13th Joint EDQM-USP International Symposium on Pharmaceutical Reference Standards was held on 13-14 March 2019 in Strasbourg, France. 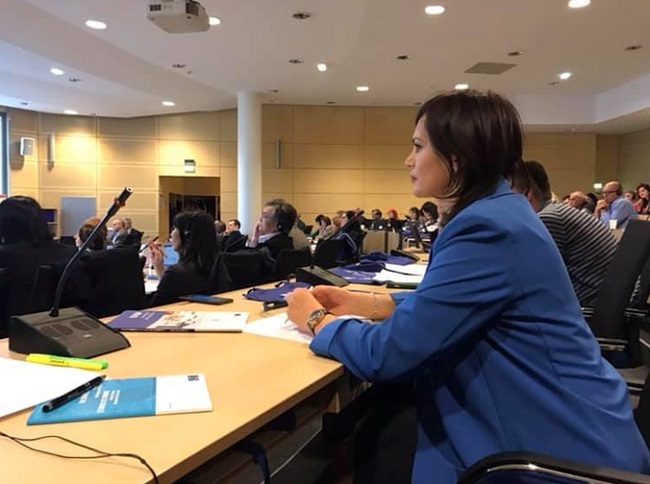 The symposium brought together about 130 participants from 30 countries involved in manufacture, characterization and use of pharmaceutical reference standards. The programme comprised four sections covering the establishment and use of compendial reference standards, including those for new and complex biologicals and small molecules, and regulatory aspects. The issues related to impurities, antibiotics, and gene therapy products were also addressed. There was a lively discussion concerning users’ need for reference standards suitable for the use outside compendial monographs. Along with oral presentations, the poster session was organised for participants to have an opportunity to present the results of their work regarding the topic of the symposium. 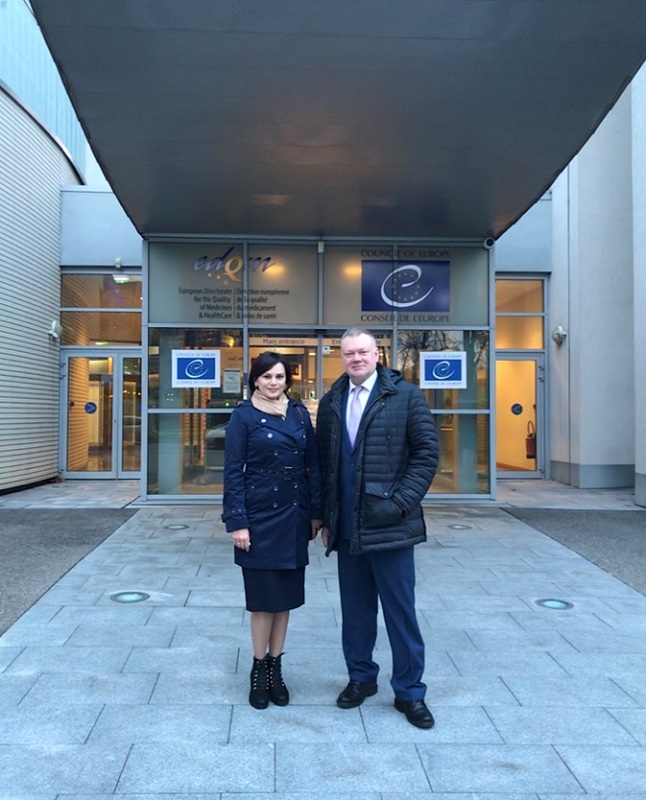 The delegates to the symposium from the Ukrainian Scientific Pharmacopoeial Center for Quality of Medicines – Dmytro Leontiev, Deputy Director of Science and Head of the Department of Validation and Reference Standards, and Natalia Volovyk, Deputy Head of the Department of Validation and Reference Standards, took the opportunity to communicate their research as well as raising and discussing burning issues with the representatives of pharmacopoeias. 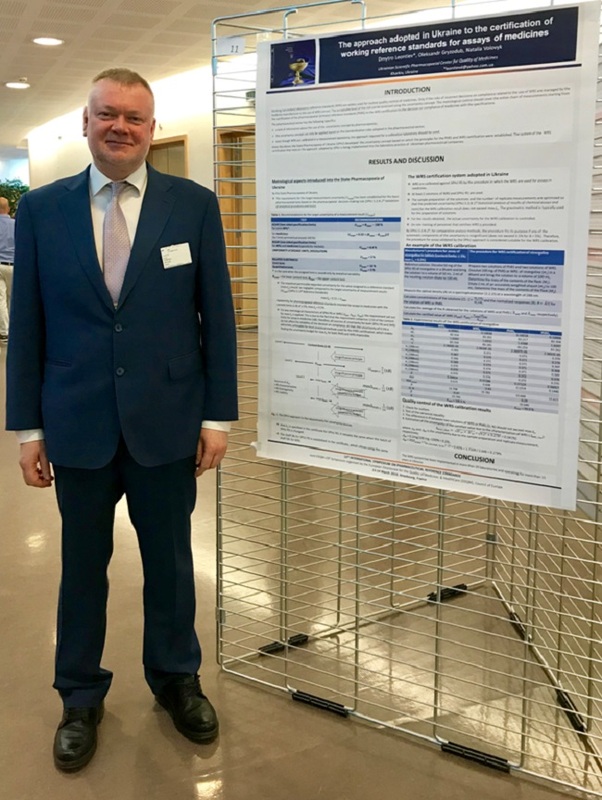 Dmytro Leontiev presented a poster entitled “The approach adopted in Ukraine to the certification of working reference standards” (authors: D. Leontiev, O. Gryzodub, N. Volovyk). 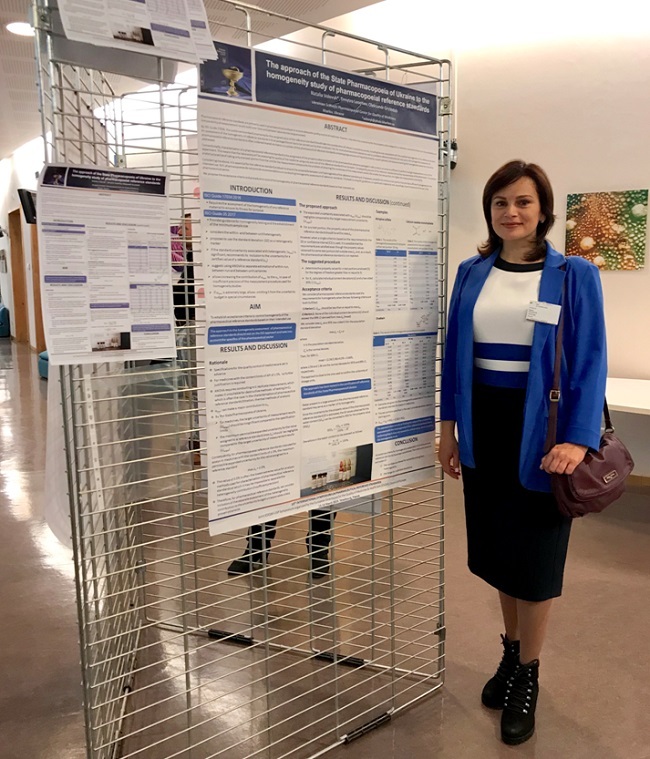 Natalia Volovyk presented a poster entitled “The approach of the State Pharmacopoeia of Ukraine to the homogeneity study of pharmacopoeial reference standards” (authors: N. Volovyk, D. Leontiev, O. Gryzodub). A brand new feature of the symposium was a competition among the posters in terms of their scientific significance. The experts appointed to the scientific committee assessed presentations and determined winners. 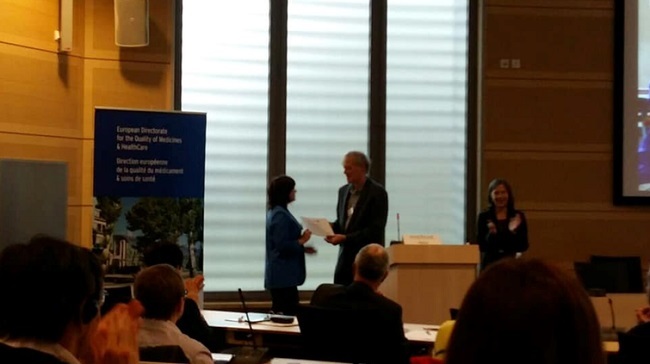 As a result, for the poster presentation, Natalia Volovyk was awarded a prize, which was handed to her by Jaap Venema, Chief Science Officer at USP. 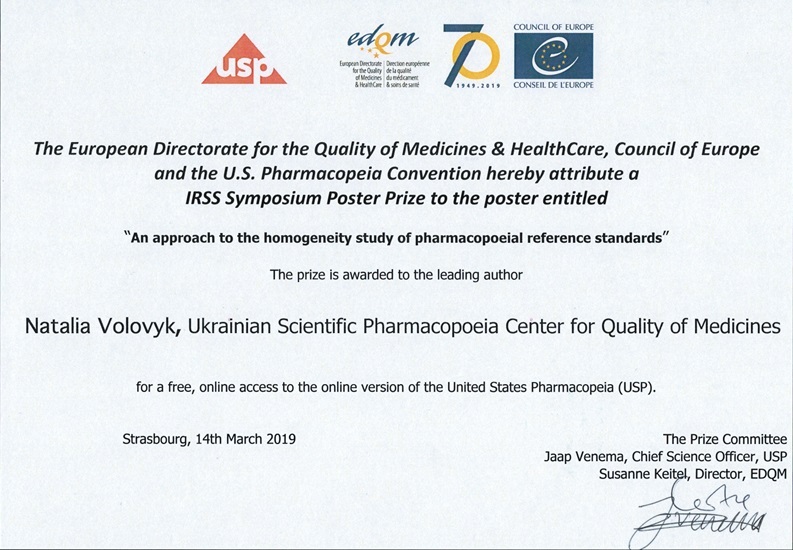 The staff of Ukrainian Scientific Pharmacopoeial Center for Quality of Medicines congratulate the prize-holder Natalia Volovyk and co-authors of the work Dmytro Leontiev and Oleksandr Gryzodub on their achievement and wishes all the team of the Department of Validation and Reference Standards further success. 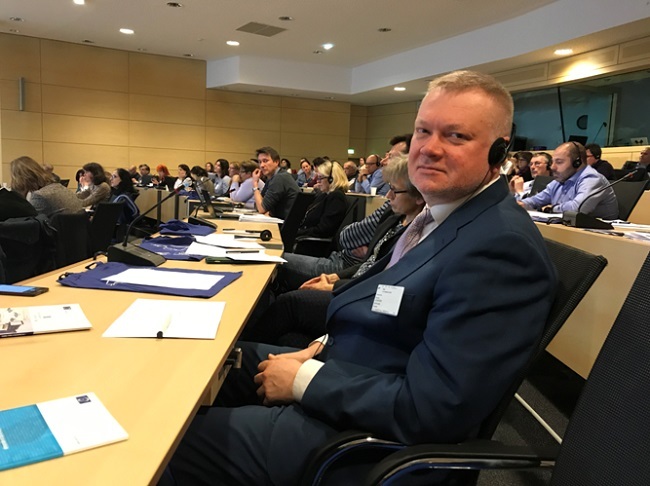 ← Employees of the “Pharmacopoeial Centre” as a part of the National Pharmaceutical University delegation participated in the ІХ international pharmaceutical conference «Science and practice 2018» (Kaunas, Lithuania, 7.11.2018 – 11.11.2018).